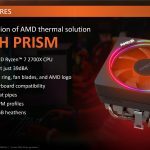 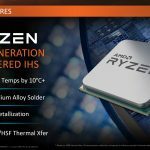 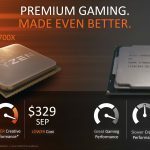 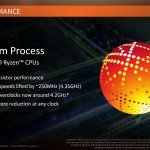 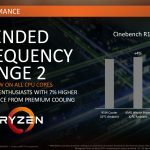 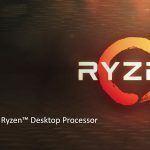 AMD has launched four new 2nd Gen Ryzen CPUs that land one year after we first saw Ryzen 7 in March 2017. 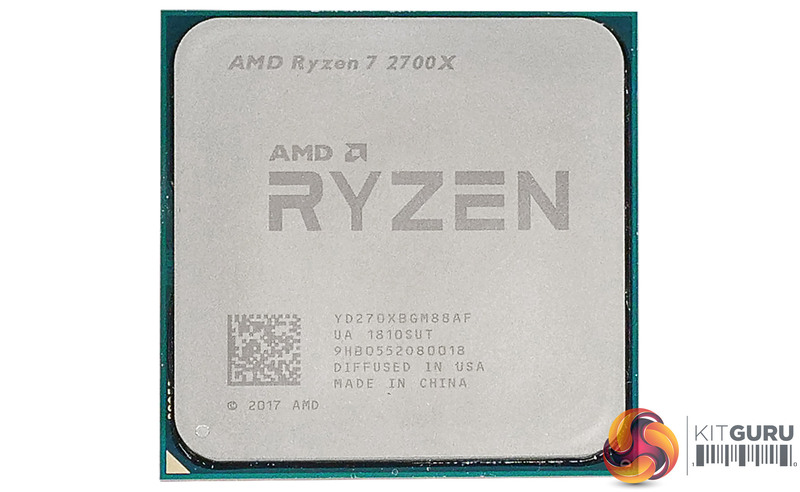 You can read our review of the flag chip Ryzen 7 1800X HERE. 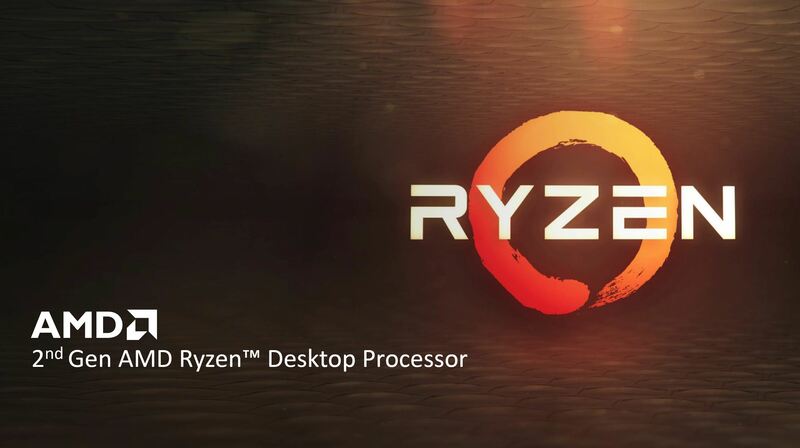 Ryzen 7 was major news as AMD delivered 8 cores and 16 threads to the desktop market that trampled all over Intel Skylake and Kaby Lake in terms of productivity and CPU intensive tasks. 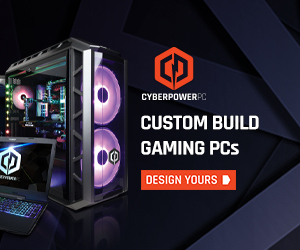 Not so much, however, in gaming. 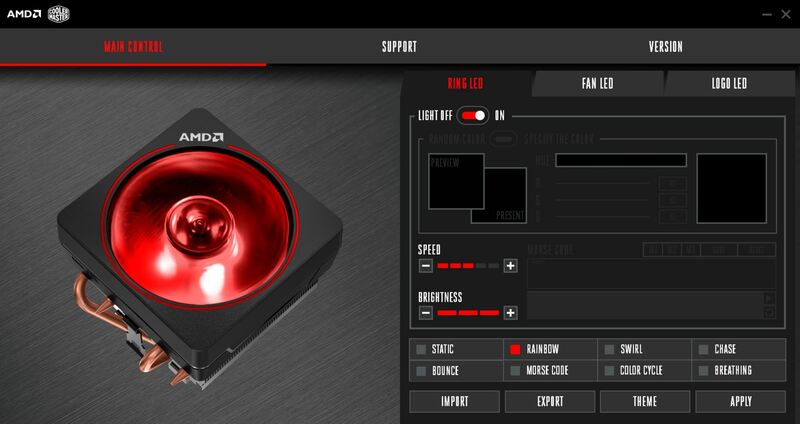 The gulf between the AMD and Intel platforms at that time was huge, and that made it relatively easy to decide whether you wanted to go with Team Red or Team Blue. 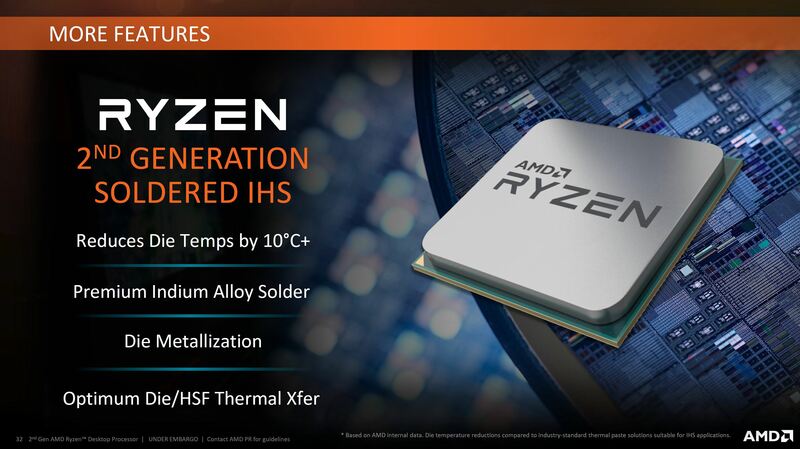 2nd Gen Ryzen is a completely different matter as it mainly offers refinements of Ryzen based on a die shrink from 14nm LLP to 12nm LP. 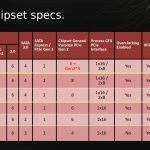 By contrast Intel still uses 14nm, however 8th Gen Coffee Lake upped the core count from four to six so the divide between AMD and Intel is far narrower now than it was back in 2017. 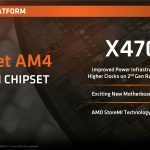 AMD has launched four CPUs along with the new X470 chipset which means we have a huge amount of hardware to work with. 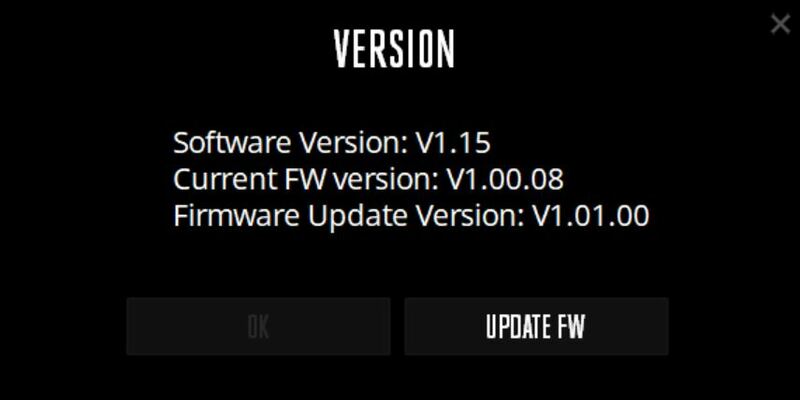 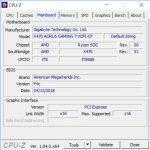 KitGuru’s news is full of X470 motherboards and we have a number of reviews in the pipeline. 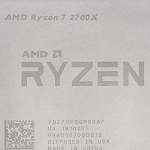 For the moment we are producing reviews of this Ryzen 7 2700X and also Ryzen 5 2600X which respectively take over from Ryzen 7 1700X/1800X and Ryzen 5 1600X. 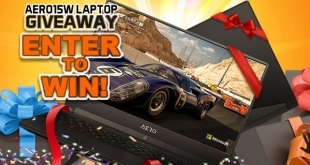 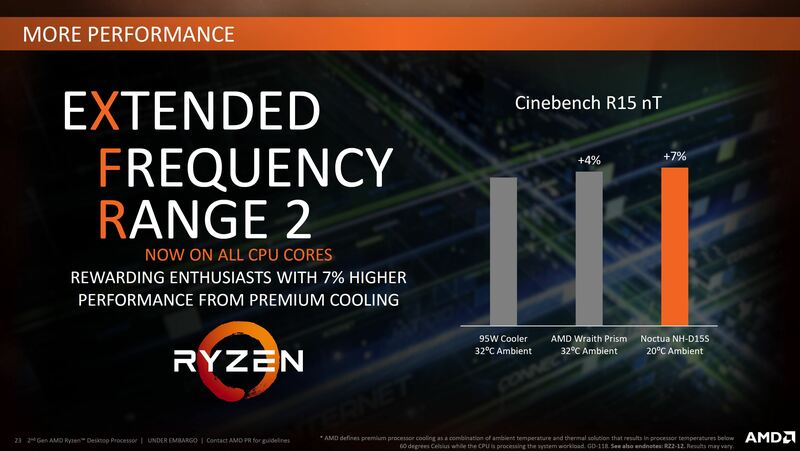 That is very positive and encouraging, however we have been unable to shake the feeling that this launch has a fair amount in common with the Intel 8th Gen marketing campaign. 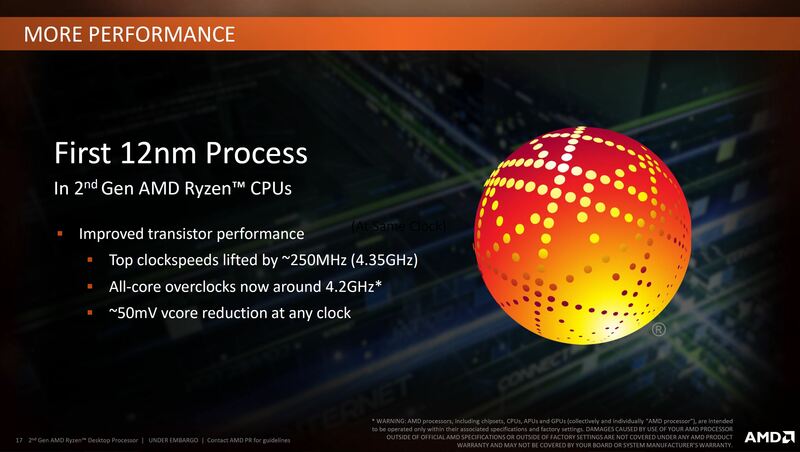 We are clear that 2nd Gen Ryzen uses a 12nm process and that the underlying Zen architecture is unchanged. 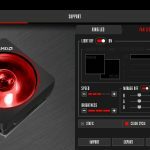 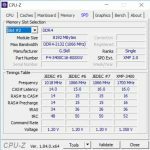 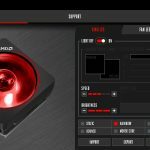 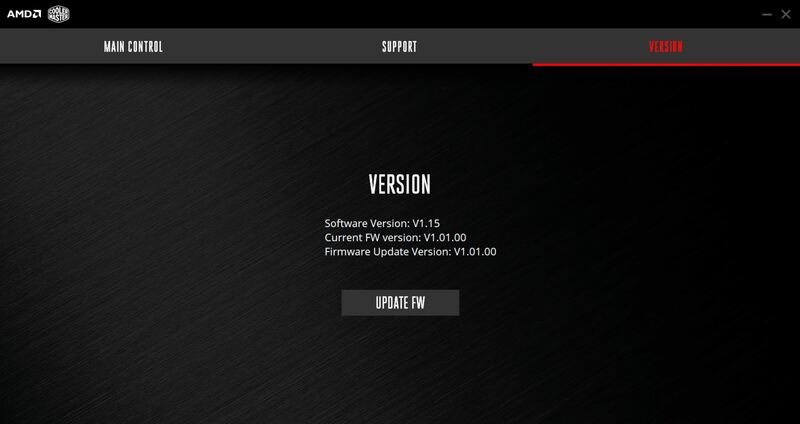 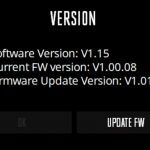 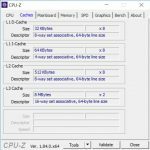 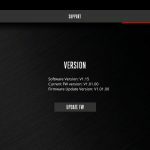 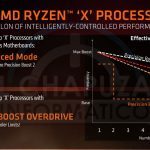 It took some questioning to determine that die area is unchanged so this is very much a change in process, however AMD also claims they have refined the cache and gained three percent performance. 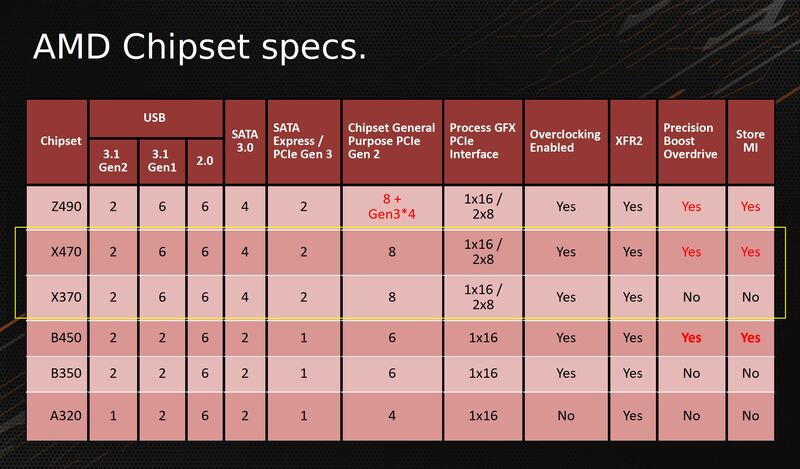 This is important as Intel typically beats AMD both on outright clock speed and also IPC (Instructions Per Cycle) so any improvements from AMD are welcome. 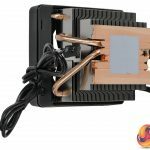 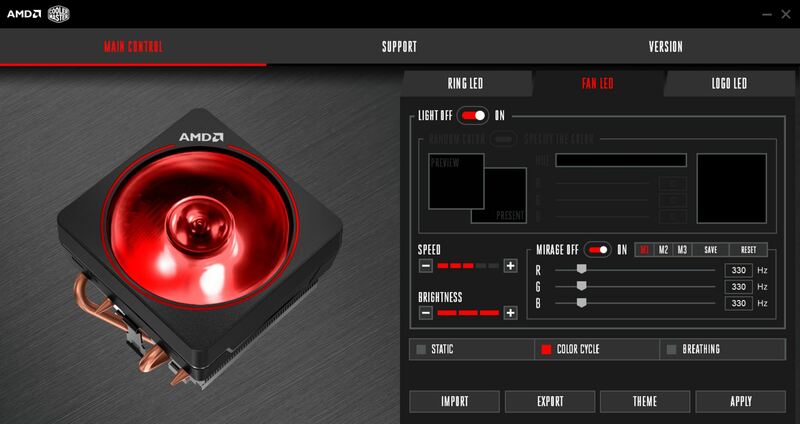 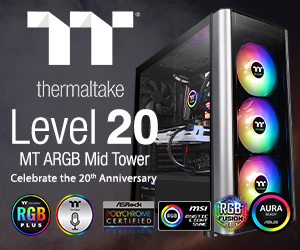 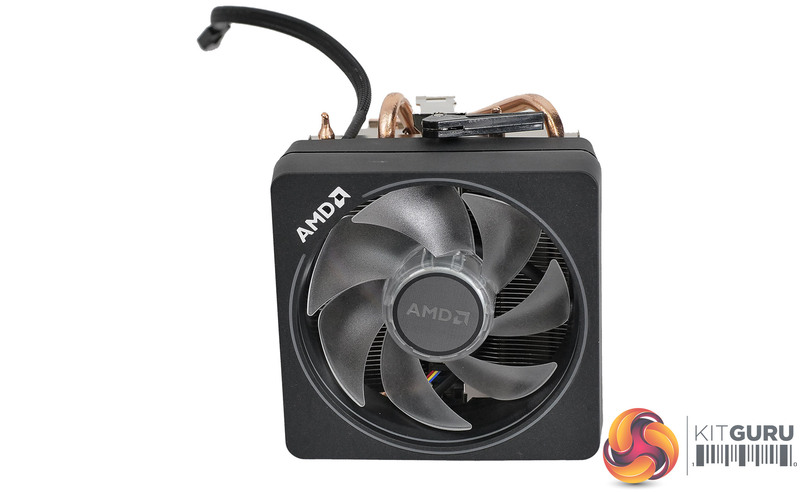 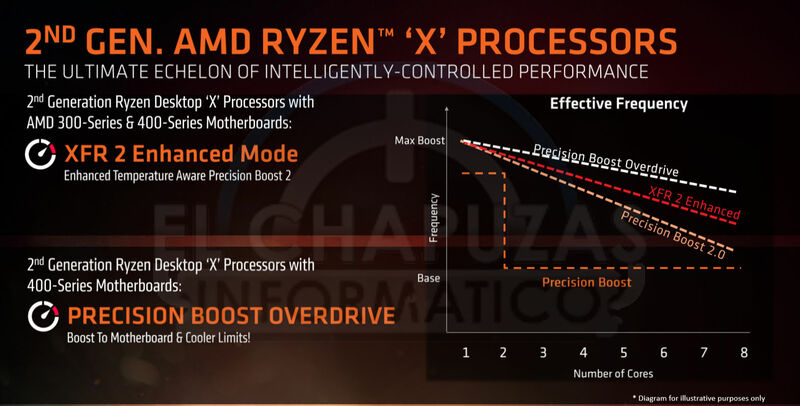 We know that clock speeds have improved and that AMD has worked on Precision Boost and XFR, however this dynamic overclocking is based on the power envelope and the quality of your CPU cooling. 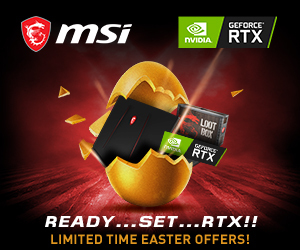 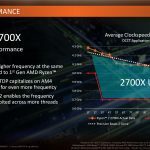 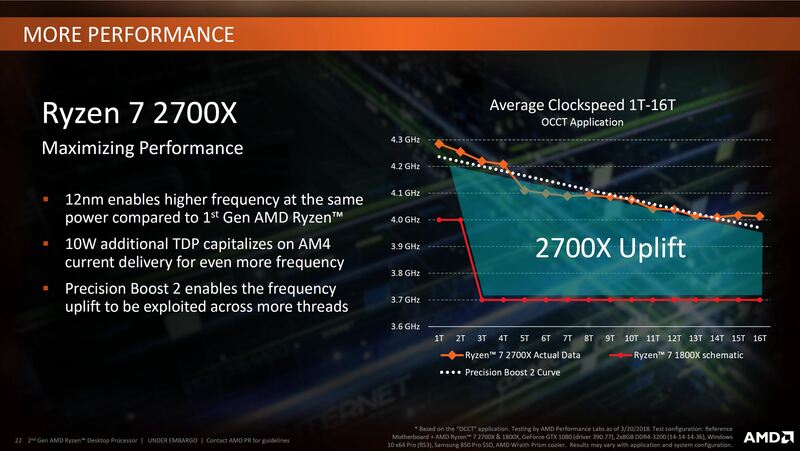 The similarity with Intel is that AMD is happy to specify base clock speeds and maximum Turbo speeds but won’t talk about likely all-core operational speeds. 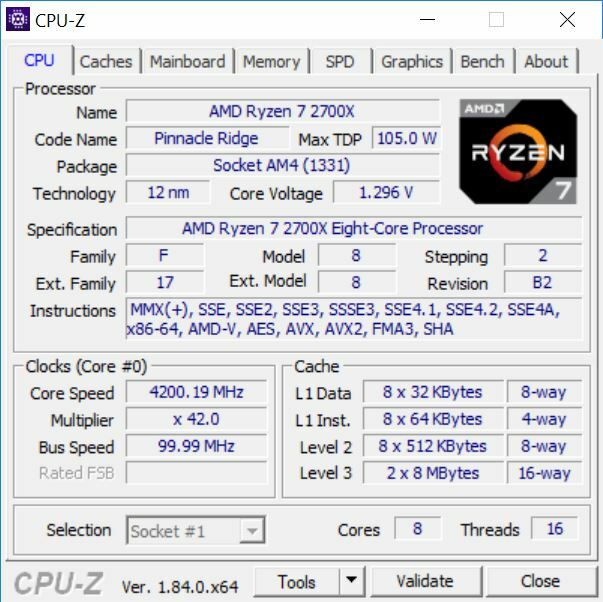 The Ryzen 7 2700X has a base speed of 3.7GHz and a maximum speed of 4.3GHz, but the all-core speed we saw during testing is 4.05GHz. 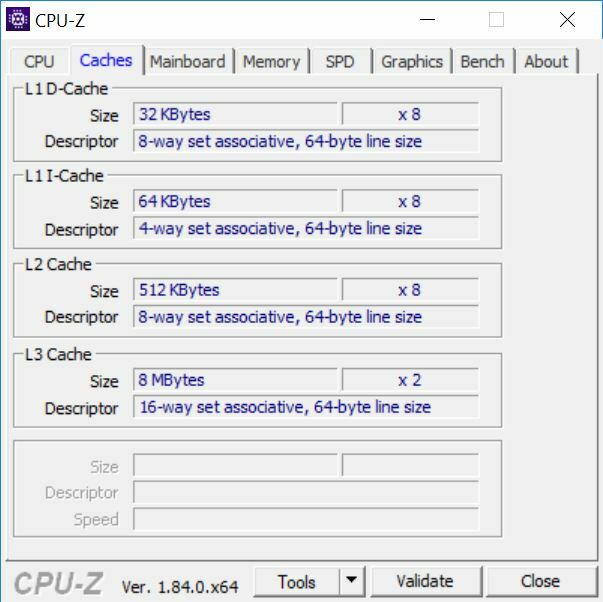 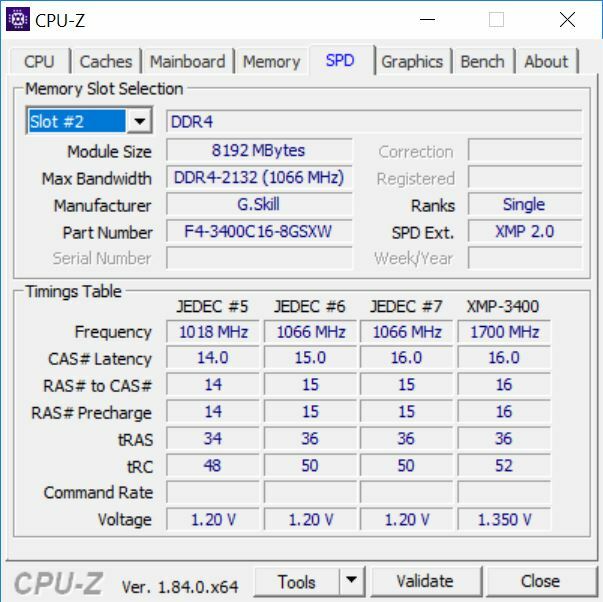 Custom runs of Cinebench R15 saw speeds increase steadily so on two cores we are confident you will see 4.10GHz and on a single core the maximum sustained speed will be 4.15GHz. 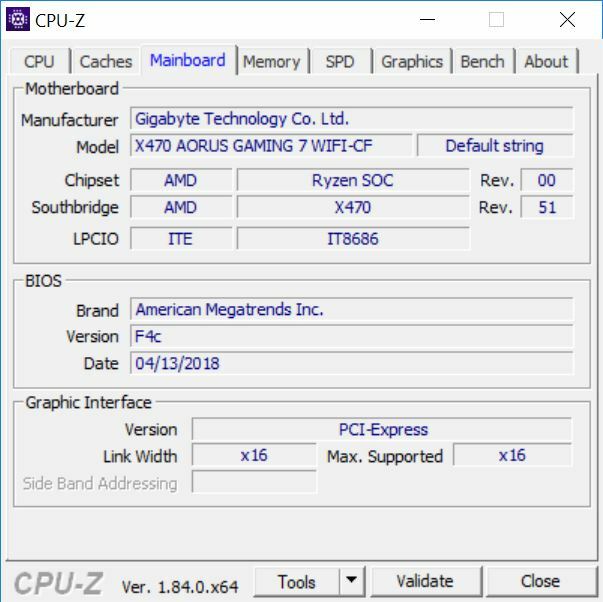 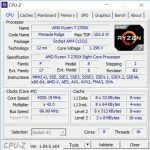 Perhaps someone out there has a Ryzen 7 2700X that will run faster out of the box than 4.1GHz in some meaningful way, but we doubt this is the case. 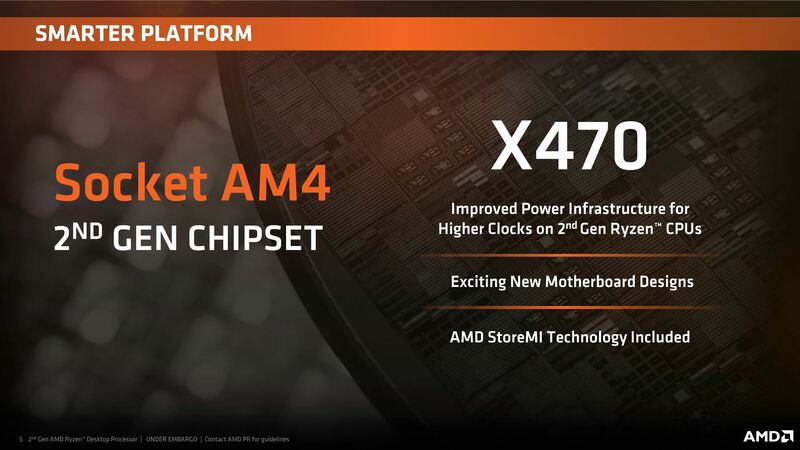 AMD diverges from Intel in a positive way as it promises to support the AM4 platform until 2020 so you are able to drop your new 2nd Gen CPU into an X370 motherboard, or you can upgrade your existing Ryzen PC with a new X470 motherboard. 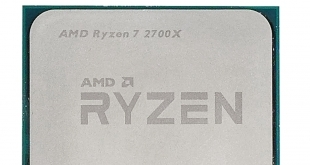 Despite this pin compatibility, AMD is adamant that you require a new X470 motherboard to get the maximum benefit from a 2nd Gen Ryzen so you need to be prepared for extra expense. 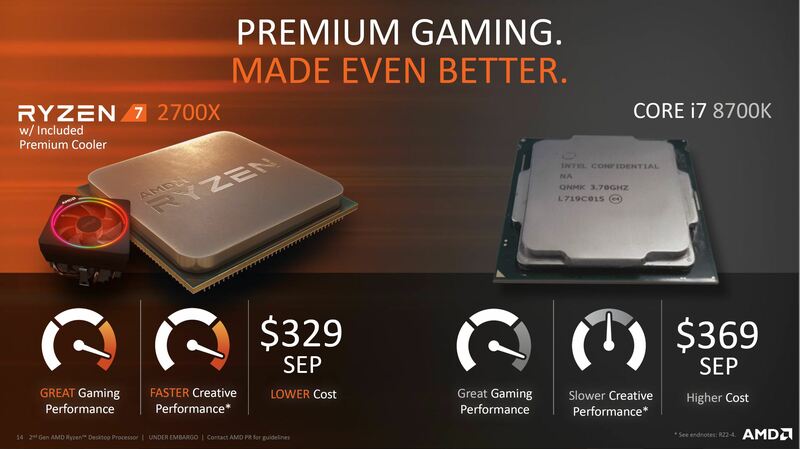 The good news is that Ryzen is significantly cheaper than it used to be. 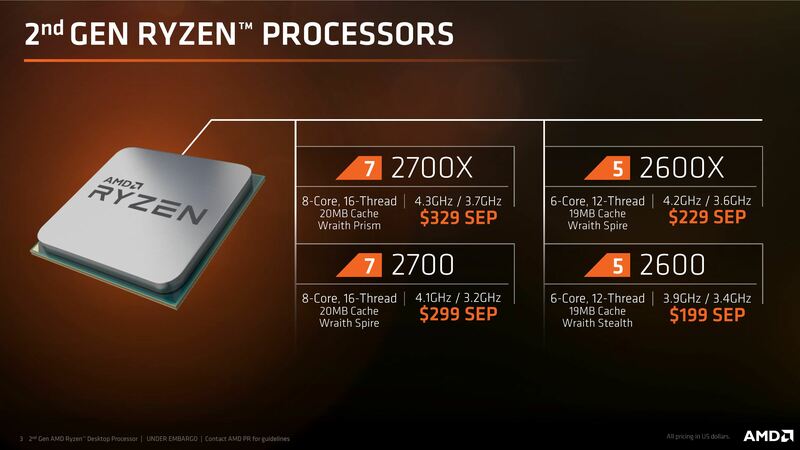 When Ryzen 7 1800X launched the price was £500 (now £269) and Ryzen 7 1700X cost £400 (now £249). 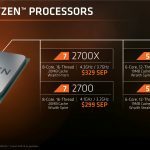 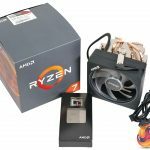 The new Ryzen 7 2700X goes on sale at £299.99 which was explicitly decided because Intel Core i7-8700K costs £315. 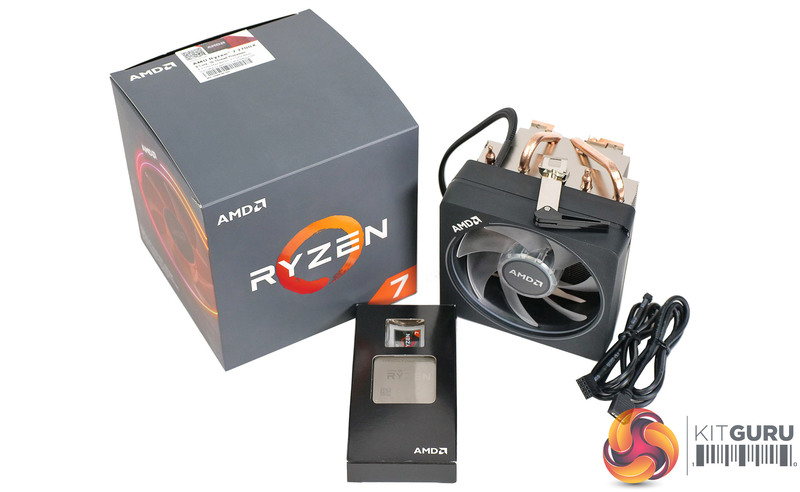 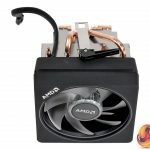 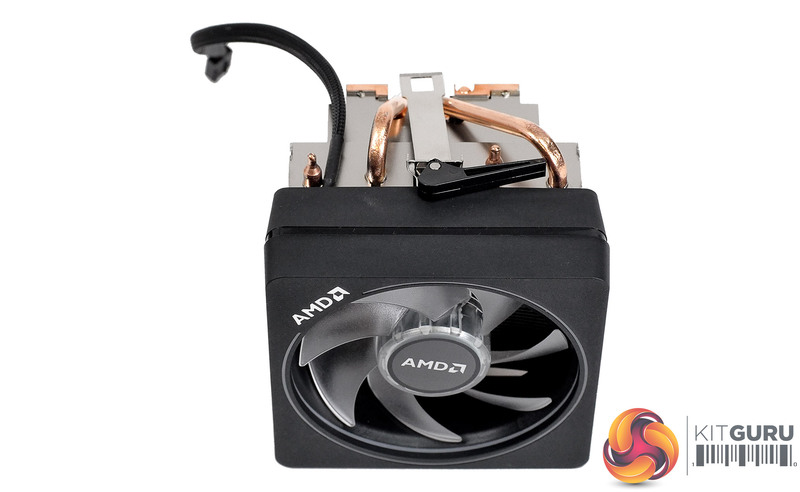 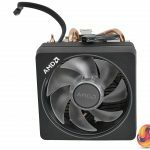 In addition to beating Intel on price and core count, AMD includes a CPU cooler in the package. 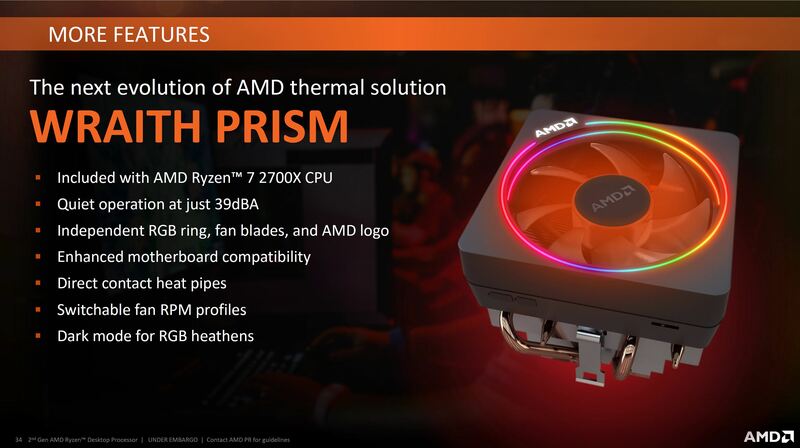 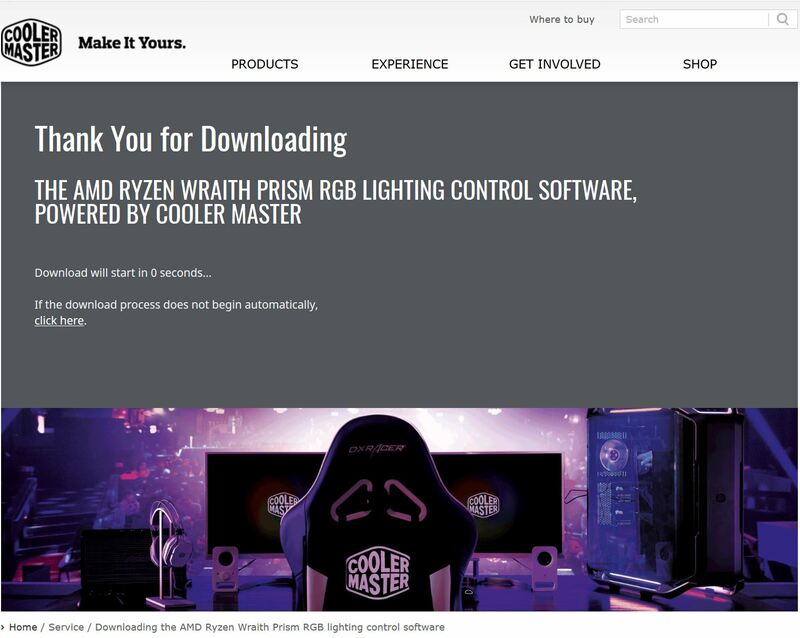 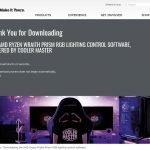 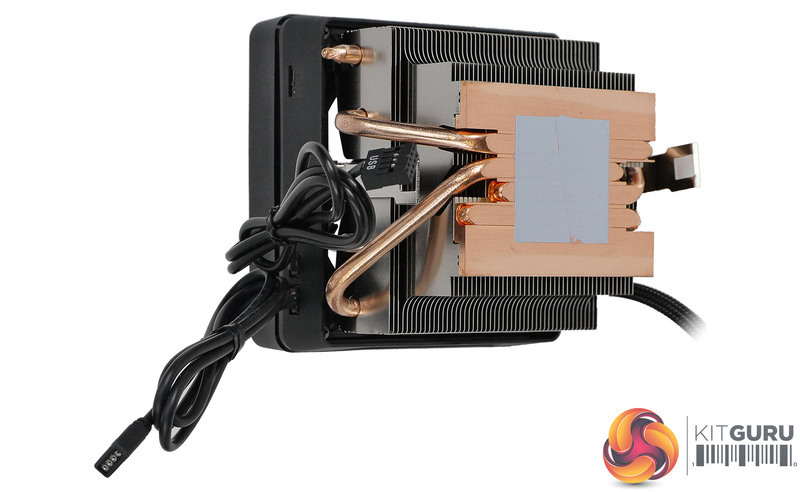 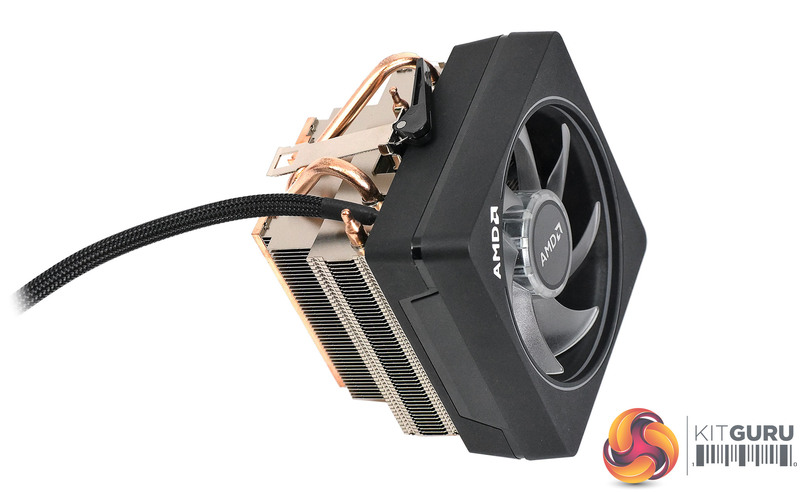 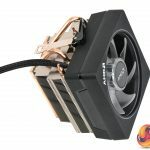 The baby Ryzen 5 2600 comes with a Wraith Stealth cooler, Ryzen 5 2600X and Ryzen 7 2700 are supplied with a Wraith Spire, and this Ryzen 7 2700X get the Wraith Prism which is made by Cooler Master and has plenty of RGB goodness.